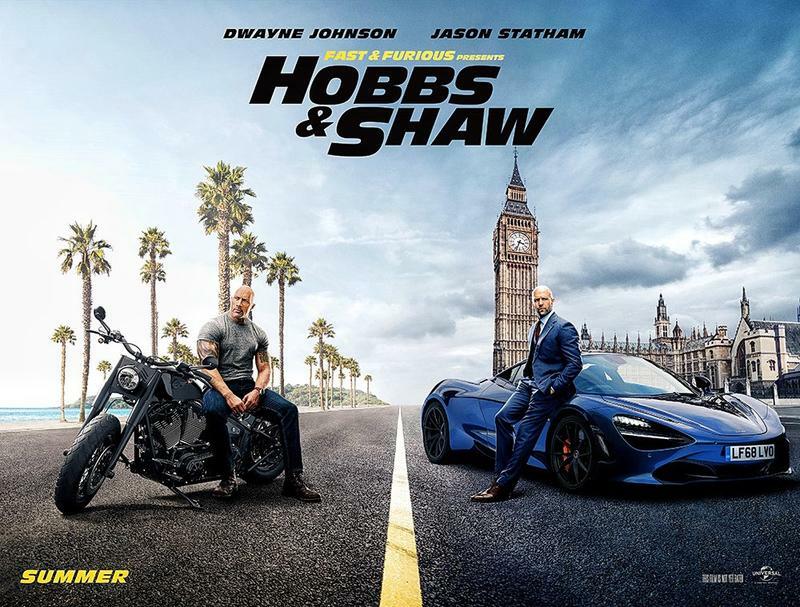 We knew the Fast and Furious spinoff Hobbs and Shaw would be an action-packed flick in the same vein as previous franchise installments, but the first trailer for the movie shows we are in for something we’ve never seen before. Self-proclaimed bad guy, Brixton (played by the always dashing Idris Elba), is here to create some mayhem, but he’s not your typical baddie. As he says it, “I am human evolutionary change: bulletproof, superhuman.” That sounds more like a villain from a Marvel, but we’ll take it in a Fast and Furious movie. To take on a formidable opponent like that, the good guys have to bring out the big guns, it just so happens to be two big guns—Luke Hobb and Deckard Shaw (player by Dwayne “The Rock” Johnson and Jason Statham respectively). Together, they venture over to Europe to stop Brixton in a what should be a raucous joyride. The trailer shows off some very impressive set pieces the movie will feature like the truck chase scene that has it flipping over (because why not) and Mission: Impossible – Ghost Protocol-esque tower scene where they’re running of the side of a skyscraper as if out on a morning jog.